‘Inside My Mind’ Out Now! The biggest ever ITTF production takes you inside the split-second decision-making of international Table Tennis stars ahead of the World Championships. Ding Ning kicks off the exclusive video series ahead of the Liebherr 2019 ITTF World Table Tennis Championships. Ding Ning doesn’t leave anything to chance. 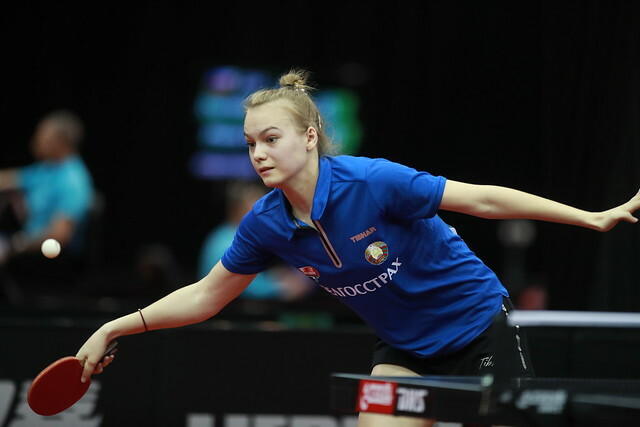 The women’s world number one and Chinese superstar will be heading to Budapest, Hungary, in 10 weeks’ time, looking to defend her crown at the Liebherr 2019 ITTF World Table Tennis Championships between 21-28 April. The key facts are already laid out in the open. Ding Ning’s intentions are perfectly clear. Once again, one of the sport’s most familiar faces will be entering our TV screens and social media feeds, with the most precious silverware of the entire year at stake. The reigning world champion is undisputedly one of Table Tennis’ greatest players and personalities… yet there’s still so much more to comprehend about what exactly it is that makes Ding Ning tick. What is she actually thinking from the moment she steps out on court and in those milliseconds between and during shots? What is her mental approach for dictating the flow and outcomes of matches? What are her tactics and technique for defeating all before her to take her legendary status in the game to the next level still? The biggest ever ITTF production offers you exclusive access to the split-second thought processes running through the brains of the world’s very best table tennis players. For behind each action: each swing of the arm, each flick of the wrist, each shift of balance from one foot to another: there is a myriad of decisions made. Decisions which separate the best from the rest. Spell-binding imagery and audio of the highest production quality will leave you captivated, as the players take you away on an unchartered journey deep into their game plans, all while speaking in their native tongue (supported by English subtitles). Today’s launch, taking you inside the mind of Ding Ning, forms the first episode of a seven-part series you simply won’t want to miss, running from today up until the Liebherr 2019 ITTF World Table Tennis Championships in April. Ding Ning (China) ‘The Queen of Hearts’ combines elegance and dynamism like no other. She is the Women’s World no. 1 and reigning World & Olympic Champion. Watch her signature serve as the key to her strategy of serial success. Quadri Aruna (Nigeria) Thumping power strokes and terrific topspin are what he’s known for, but there’s a lot more than first meets the eye to the reigning African Champion. Bernadette Szocs (Romania) Perfection personified, from her very appearance on court to the unmistakable precision of each and every movement that have taken her to European titles. For Bernadette, it’s the details that matter. Ma Long (China) He’s not called ‘The Dictator’ by accident. Enter the unique mind of a natural-born winner: the reigning Men’s World & Olympic Champion, Ma Long. Hugo Calderano (Brazil) Athleticism. Energy. Exuberance. That’s all clear, but what is the boy from Brazil actually thinking when he’s meaning business on court? The first ever player from Latin America to break into the top 10 in the world, Hugo gives you special insight into his shot selection. Speed of body. Speed of mind. Manika Batra (India) The most mystical of all: let Manika cast you under her spell as the Commonwealth Games Champion reveals her masterplan. Timo Boll (Germany) Seven times a European Champion. Yes, seven times! Not to mention two World Cups. But there’s so much to discover still about Timo Boll. Watch and learn from an undisputed legend of the game. A must-watch for anyone interested in sport or anyone who appreciates the power of video and cinematic film, ‘Inside My Mind’ serves as the perfect way to prepare mentally for the greatest ever Table Tennis event: the Liebherr 2019 ITTF World Championships. Between now and the main event, stay tuned for seven episodes which are sure to catch the eye!